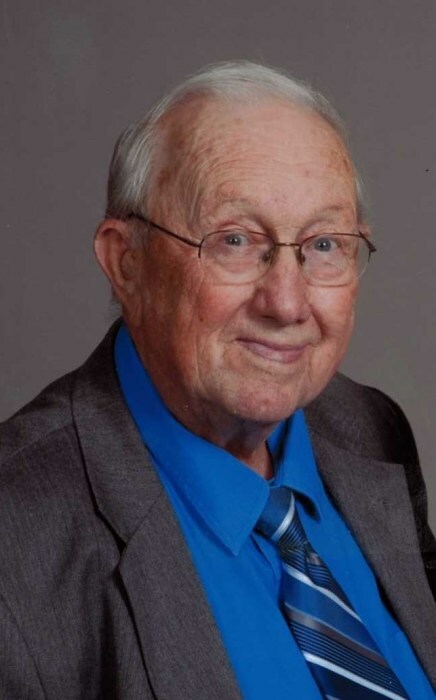 Lavern W. Wreath, 85, of Litchfield, IL passed away on March 29, 2019 at 12:25 A.M. at HSHS St. John’s Hospital in Springfield, IL. He was born on April 12, 1933 in Nashville, IL, the son of the late Thomas and Emilia (Lange) Wreath. He married the former Gertrude Ploczizka on May 10, 1953 at Zion Lutheran Church in Litchfield, IL. She survives. Lavern was a veteran of the United States Army having served from 1953 to 1955 and stationed in Alaska. He graduated from Nashville High School with the class of 1951. He was a member of Zion Lutheran Church where he had served on various boards and served as the Sunday School Superintendent for many years and was the custodian for the school. Mr. Wreath enjoyed spending time with his family, especially his grandchildren and taking trips alongside his wife to Branson, MO. Grandchildren, Emelia Ferrero of Nokomis, IL & Lance, Paige and Cody Davidson of Litchfield, IL. Litchfield Family Funeral Service has the honor of serving the family.